Degelman® Rock Removal - Kelly Tractor Co. The R570P Prong Rock Picker has tremendous strength for a small machine. This fork-type rock picker is ideal for picking anything from a two pound stone to a 3000 pound boulder. 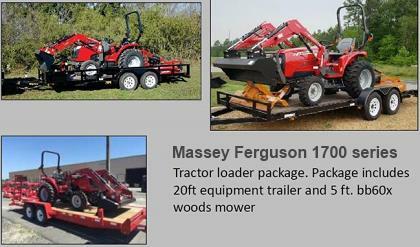 These proven rugged machines are ideal for land clearing and reclamation applications. Used for years by professional landscapers, contractors and farmers, the Degelman Prong Rock Picker and Digger are designed to clear big stones, boulders and for selective rock picking. The entire machine is a simple forklift design with one moving part. The machine incorporates spring steel tines that won't bend or break, and will last a lifetime. The mainframe is constructed with a double-tubing design, while the high quality twin Degelman hydraulic cylinders provide the power. The prong is equipped with a 1-1/2 cubic yard capacity hopper. The Degelman RD320 is a trouble-free and versatile machine. Besides digging out submerged rocks, it can grab, lift, and transport boulders. These hard surfaced digging teeth are two inches thick. This means the teeth won't bend, won't break, and will last a lifetime. The teeth are angled to allow for easy gliding into the soil while the hydraulics are in float position. Four extra long teeth allow the RD320 to dig down to 32 inches. The benefits of having four teeth are to provide extra grip, better control and handling, and less chance of the rock skidding or falling out. They also provide a more secure hold on the rock when transporting it. Used across the globe for over 35 years, the RR1500 has earned a reputation for fast, efficient windrowing in rock-strewn land. Augmented with real-world testing and customer feedback, the original, patented design delivers exceptional quality in a low-maintenance package. Built with durability in mind, robust components like the chain-driven drum and long-lasting bearings raise the bar for performance-driven rock management. The 14' wide spiral drum rakes a large swatch of rocks from the field with each pass, yet the entire machine folds into a 7-1/2' narrow transport width with 10" of ground clearance - ideal for navigating narrow bridges and gates. Moving randomly distributed rocks into windrows allows for convenient picking. Capable of forming single or double-windrows, the RR1500 means less passes through the field when removing rocks. The Degelman Signature series rock pickers are the result of over 50 years or pursuing excellence. Degelman rock pickers are unrivalled for performance and durability and the industry standard. Our attention to details means these machines will work flawlessly for years to come, as you will find Degelman rock pickers made 50 years ago still working today. Degelman rock pickers are designed to pick up stones quickly, efficiently and with a minimum of soil collection. The geometry between reel and grill is designed so that the paddle makes the first contact, lifts and spins the stones onto the grill further separating the rock from the soil. The unique interlaced grill and paddle teeth drop dirt easy onto the field. Even the hopper box makes use of grated spring bar strapping to keep rocks in and dirt out.